Dr Whitaker Mind & Memory Essentials is the theme of our product review today. 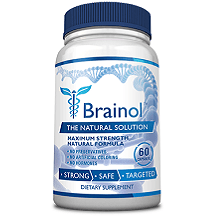 The maker’s of this supplement claim that its ingredients can support your memory, improve your mental sharpness and cognitive function. In addition, it is also designed to improve your state of mind and provide overall support for your long-term brain health. Vitamin B6, B12 and folic acid promote long-term brain health, improved cognitive function and mood, as well as providing a general boost in energy. Longvida Optimized Curcumin Extract can boost reaction time and mental agility, reduce mental fatigue, and Huperzine A supports neurotransmitters (acetylcholine) in the brain, thus boosting memory and overall brain and cognitive health. BioPerine, enhances the body’s absorption of curcumin. This product contains soy so avoid if you have a soy allergy. There are a number of binders, fillers, and artificial chemicals in this supplement. Since it contains gelatin, this supplement is unsuitable for vegetarians and vegans. Take 1 capsule daily with a meal. The manufacturer does not specify a preferred time of day to take this supplement. Consult a healthcare professional before using if you are pregnant or nursing. You can purchase a 30 capsule bottle directly from the manufacturer’s online store for $39.99, plus flat rate shipping at $6.99. If you sign up for the special auto-delivery offer, you pay only $31.99 – with free delivery. There’s a special offer now for July that provides up to a 60% discount and free shipping when ordering $99 or more of goods when you add the discount code XMAS at checkout. 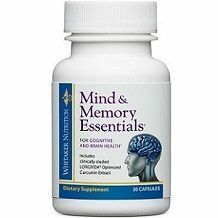 Dr Whitaker Mind & Memory Essentials comes with a 100% money-back guarantee. If you are not happy with the product, you can simply return it to the manufacturer within 90 days to receive a full refund. It is unclear if this policy allows for the return of opened bottles of capsules but we assume not. We found some encouraging aspects of Dr. Whitaker Mind & Memory. it contains research proven ingredients that are likely to provide some benefit to your cognitive processing. There is a generous 90 day return policy and guarantee. There are discounts for recurring orders and a special offer for the month of July currently. Shipping is free if you spend over $99. We liked the inclusion of curcurmin and BioPerine which enhances the body’s absorption of curcumin. We felt that the product was weakened by a number of factors. When buying a single bottle, the price is high for a one month’s supply of capsules at $47 (with shipping). The guarantee is good and lengthy but does not make mention of the option to return opened bottles of capsules. Product shipping is only free when ordering over $99 of the product, but adds a flat rate of $6.99 for orders below this amount. There are a number of binders, fillers, and artificial chemicals in this supplement. Since it contains gelatin, this supplement is unsuitable for vegetarians and vegans. We suggest you look for a better priced supplement, with a more inclusive guarantee, that has free shipping on low volume orders, and n ingredient list that is free from fillers and binders.